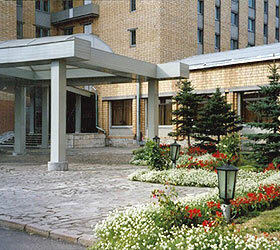 Yakhont Hotel is situated in Krasnoyarsk, 5 km away from the city centre and 10 km away from the railway station. The hotel surroundings include a number of shops, restaurants, entertainment spots and the Kosmonavtov public garden. The hotel features everything needed for value recreation and successful business activity. The hotel offers 58 rooms of various categories. Hotel rooms include spacious beds, a desk, a TV, a telephone, a fridge and Wi-Fi Internet access. Hotel bathrooms have independent hot water supply and include terry robes, towel sets and cosmetic kits. Every morning the hotel restaurant welcomes guests to breakfast buffet. The stylish restaurant hall is well suited for hosting banquettes, weddings and other celebratory events. For business people Yakhont Hotel provides a state-of-the-art business center and two conference halls with 60 and 25 persons capacity. The hotel health and water complex includes a sauna, a hydro massage swimming pool and cozy rest rooms. Guests interested in history and culture of the city are welcome at the guided tours organized by the hotel travel agency. For guests' convenience hotel grounds accommodate a parking lot.